YouTube has removed dozens of videos promoting gang violence after a request from an east London council. Newham Council has created a special unit within its enforcement team to trace videos it believes could be used to recruit new gang members. The scheme, which has been running since January, has indentified about 500 videos and 76 of them have so far been removed. Other London councils are looking at the scheme with a view to adopting it. The enforcement officers trawl the site looking for local references and if they find one that is offensive they ask for its removal. 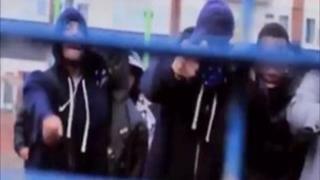 A council spokesman said the videos were often made by professional companies to glamorise gang life, and sometimes they are made to deliberately antagonise rival gangs. He added the Metropolitan Police has highlighted the project and as a result the council has briefed the other 31 London boroughs and the Home Office to share how it works. "By taking these down we are trying to reduce publicity," said the Mayor of Newham, Robin Wales. "The truth is being in a gang is a stupid thing. "We don't want people to start being in it and when they are in it, we are going to crack down and go after them." A YouTube spokesperson said: "YouTube's community guidelines prohibit content that's intended to incite violence or encourage dangerous, illegal activities, and we encourage all our users to flag videos for our attention. "We review videos against our guidelines when notified and remove anything that breaks the rules."